WhatsApp Messenger, which is one of the 10 best chat apps, is a multiplatform mobile phone messaging service that relies on your device's internet connection to chat with other WhatsApp users. If you are a starter of WhatsApp, you can learn in this article how to download and install WhatsApp for your device on iOS, Android, Nokia Symbian, Nokia S40, BlackBerry, Windows Phone, and even PC/Mac. 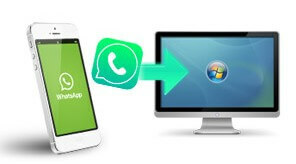 How to Download and Install WhatsApp on Smartphone Running iOS, Android, Symbian, etc. WhatsApp is supported on most smartphones. You can download and install WhatsApp on your iPhone 5S/5C/5/4S/4, Android phone (Samsung Galaxy, HTC, LG, Motorola, Google Nexus), BlackBerry (Z10, Smoke, Q1), Nokia S40, Nokia Symbian and Window Phone. 1. Go to the WhatsApp download website from a web browser on your phone (Note: not the computer). 2. In the official website through your smartphone, you can click to download the WhatsApp Messenger for your cell phone. Then you can install it following its installation guides, or in most cases, after downloading and tapping the WhatsApp app it will install automatically. If your phone is not supported by WhatsApp, you will receive a message telling your device is not supported and you will not be able to download WhatsApp. Once you've set up, you can start to add contacts (including international contacts) to your WhatsApp. 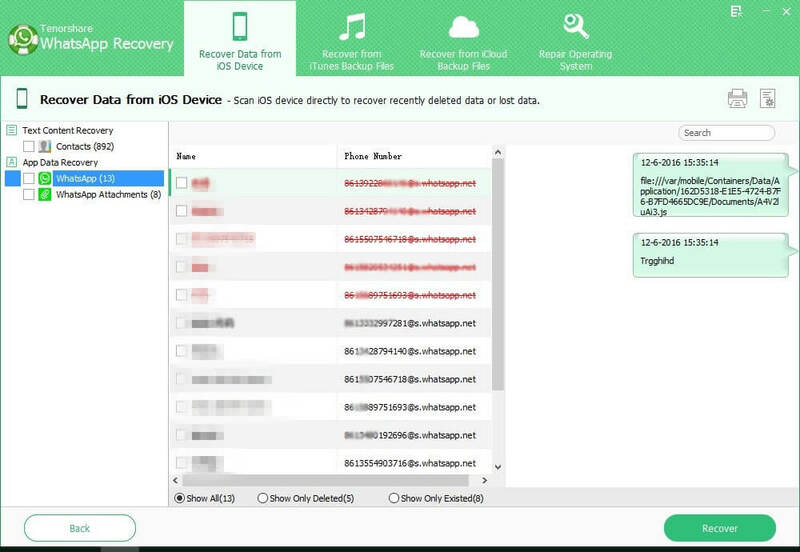 If you accidently deleted WhatsApp messages or contacts on iPhone, go for WhatsApp Recovery. It will help to recover all lost text messages, photos, audios, videos and contacts from your iPhone WhatsApp. Although WhatsApp is only available for smartphone platforms, you can install and use it on your PC or Mac. To realize this, you need to have a phone (number) that works. 1. Go to http://www.bluestacks.com/ on your computer. Download and install the software for either Mac or Windows. It is a simple and safe program to help run the WhatsApp on computer. 2. After installation, launch this program and search for WhatsApp by hitting the Search icon. 3. After you hit the "WhatsApp Messager", you should be redirected to a download page. Download the WhastApp and it will install automatically. 4. Run WhatsApp from the main home screen after it finishes installation. You will be asked to enter your phone number. Enter your phone number and hit "Get Verification Code". 5. Then you should get a message on your phone with the verification code. Enter it on the WhatsApp messenger on your computer. 6. Now you can use WhatsApp on your PC/Mac. Add contacts and you will be able to chat with your friends on your computer. Enjoy your WhatsApp Messenger after you install it on your phone or PC/Mac. If you have any problem, don't hesitate to leave it in your comment.